As beneficial as commercial gyms can be, they’re still not perfect and they do still have their downsides. For example, while commercial gyms are generally loaded full of expensive and sophisticated equipment, at peak times they can get very busy. Sometimes people in a hurry that are looking to get a quick workout in, will find themselves queuing for ages trying to get on a piece of equipment being hogged by another member. Even when gyms aren’t as busy, there’s the travel, which can eat away at your time and your expenses. On the topic of expenses, we also need to address the fact that some gyms are very expensive to join, which can be a problem if you’re lacking funds. So, what can be done? Well, lately, more and more people have been purchasing home gym equipment, such as the SYNRGY360 Multi-Station, so that they can workout in the comfort of their own homes for a fraction of the price and time. A multi-station is the perfect addition to many a home gym, but finding the right one can be tricky. Here’s a look at the ultimate gym multi-station buying guide. 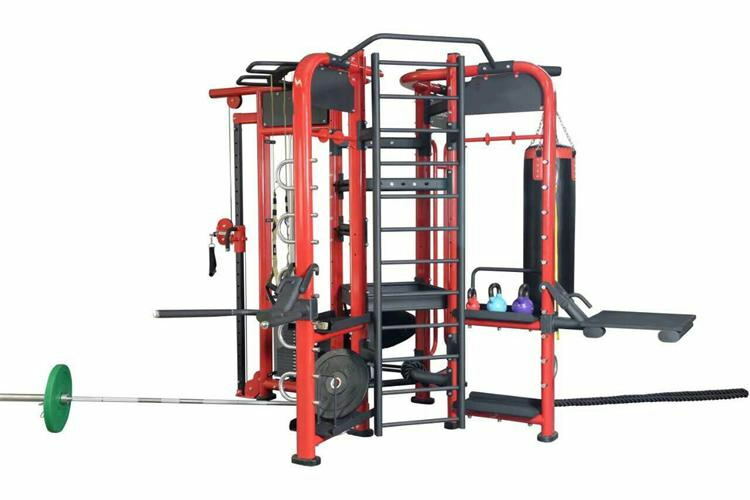 To begin with, we’re going to look at the importance of knowing the different types of home gym multi stations currently available. If you’re on a budget and don’t have very much space for your home gym, a single-station multi-gym is perfect. Basically, these home gyms have just one weight stack, but with a little adjusting, they allow you to train multiple parts of your anatomy. Most single-station multi-gyms allow you to train parts of your body such as your back with a lat pulldown or your chest, thanks to a chest press station. Basically, with these machines, you can only use one station at a time. Dual-station gyms however, have two stations which can be used at once. Multi-stations such as the SYNRGY360 however, are basically entire gyms rolled into one machine. With the SYNRGY360 range, you can perform a limitless variety of different exercises, and you can keep adding to the machine to create new stations. Next up, you need to consider the weight stack of the machine that you plan on purchasing. 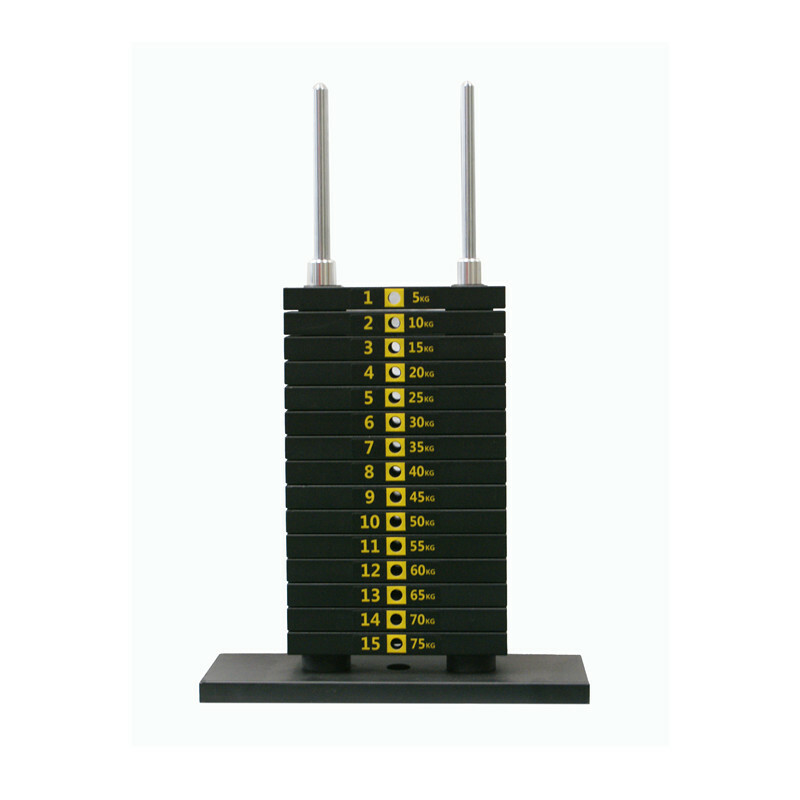 The weight stack is a fundamental part of any gym, be it a comer gym or a home gym multi-station setup. Without the weight stack, there is no resistance, which means there is no workout. Cheaper home gym multi-stations will use vinyl weight stacks as these are much cheaper to produce. If you want a simple budget multi-station to tide you over, vinyl stacks are ideal. If not, and you want something more substantial, you should instead look for machines which utilize cast iron weight stacks. These are more reliable and they will slide up and down on the runners much easier, although the machines must be well oiled too. The amount of weight each stack has is also vital. If you’re strong and want to build muscle and get stronger, a budget multi-station offering just 40kg, or 90lbs just isn’t going to work. Instead, you’ll want one with a heavier stack. Remember, if the entire stack is too heavy, you can simply select a weight that you are comfortable with. If the entire stack is too light, there’s nothing you can do to make it any heavier. Now the importance of a multi-station gym really becomes apparent and it’s why we’ve continued to recommend the SYNRGY360 range. To get the most from your home workouts, you need a multi-station that allows you to train each individual body part. Even the basic multi-station gyms will have stations such as: lat pulldown, chest press, pec deck, low pulley, and leg extensions. The SYNRGY360 series however, takes things to a whole other level entirely. 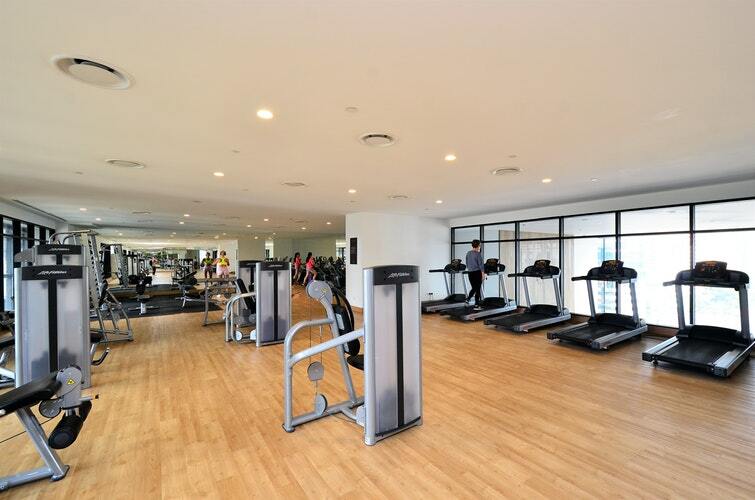 Here, the multi-station gym can be expanded upon and added to. The SYNRGY360 XL for example, provides multiple cable pulley systems, as well as monkey bars, and add-on options like a cable crossover connector, rope pulls, and optional flooring choices. These devices are like nothing you’ve ever seen in a home gym before, so it’s no wonder why they’re proving to be so incredibly popular. Remember, multi-stations rely heavily on their cable and pulley systems because of how they’re designed. Price and build quality can drastically alter the overall effectiveness of said cables and pulleys. When you buy a multi-station gym, you probably think that a cable is a cable, and a pulley is a pulley, but that’s not the case. If the cable is of poor quality, it could potentially snap and cause injury. If the pulley system is inferior, it could rub on the cable and add additional resistance and drag, which would affect the effectiveness of the machine itself. If the friction is adding resistance, you won’t get the most from your workouts. You want a home gym which provides a smooth and effortless cable glide as you use the machine. Generally, good quality multi-station gyms, as long as they’re looked after and maintained, will ensure that you can perform the exercises you want without having to worry about the aforementioned issues. Cheaper machines, or home gyms which haven’t been maintained and looked after, will likely rub and grind, which is the last thing you want. This is one of the main reasons why we recommend trying before you buy. This is another hugely critical thing to consider when buying a multi-station home gym, yet once again it is something that most people overlook. We human beings come in all shapes and sizes. Some of us are short, whereas others are tall. A 5ft 6 individual that uses a multi-station gym will likely not be able to have the seat set at the same height as a 6ft 5 individual, which is where adjustability comes in so handy. To get the most from the exercises you perform, you need to ensure that your body is aligned perfectly, otherwise you risk injury and you won’t reap the benefits from the exercises you’re doing. 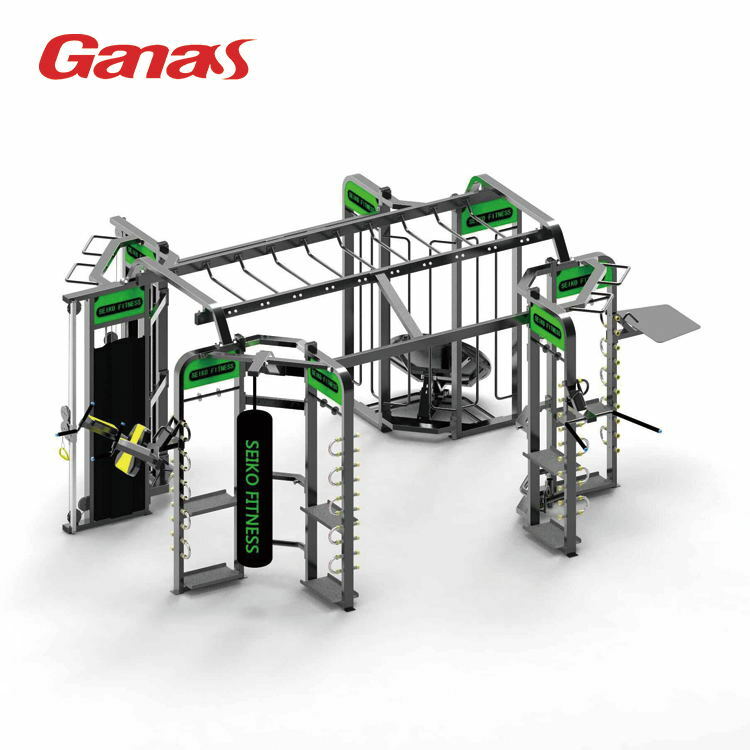 Ideally you want a multi-station gym with an adjustable seat, and adjustable cables and pulleys. When shopping for a multi-station gym, the thing to remember is that you’re making an investment. You’re buying a piece of equipment that probably won’t increase in value, but it will help to likely prolong your life and improve your quality of life. Therefore, you’re investing in yourself. This is where it pays to read reviews and find out what other people are saying and recommending when it comes to multi-station gyms. Ideally, you want a multi-station which has a wide range of positive reviews from customers and unbiased reviewers alike. The more positive reviews a product has, the better it will likely be. Read reviews and see what others are saying. Did they like how the pulley system works? Did they find it easy to adjust the height of the seat? Is the weight stack heavy enough? The more you can find out about the machine, the easier your buying experience will be. As you’ve probably noticed, we’re extremely impressed with the SYNRGY360 range of multi-station equipment. Over the years, physical exercise has advanced and evolved. We’re now moving away from stereotypical cardiovascular workouts performed on treadmills and cardio machines. People are also learning that lifting weights like a bodybuilder, may make you look impressive, but it doesn’t offer a whole lot in terms of functionality and performance. People are starting to realize that, and thanks to training principles like those utilized in CrossFit, people are now training with functionality in mind, as well as aesthetics. 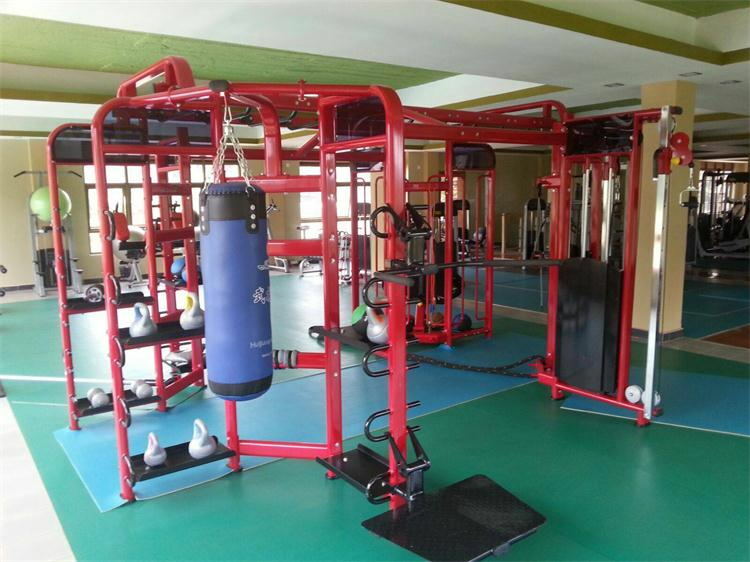 This is where the SYNRGY360 series of multi-station gym equipment really comes into its own. With these amazing pieces of equipment, people can perform exercises that build strength, stamina, fitness, endurance, and power, while burning fat, toning the muscles, and getting healthier in the process. SYNRGY360 multi-station gyms have steps, so you can perform step ups and “box” jumps for flexibility, mobility, and condition. They offer everything in terms of plyometric training as there are pull-up bars, monkey bars. Here, users can perform wide grip pull ups, narrow grip pull ups, or even rock-climbing grip pull ups to make the exercise even more demanding. There are bands offering different resistances, and battle ropes, which will work on your core, your delt development, your cardio, and your hand-eye coordination. Thanks to the adjustable high and low pulley systems, you can perform exercises like bungee runs, triceps rope push downs, upright rows, biceps cable rows, bent over cable rows, and much more besides. There’s even a TRX anchor zone so you can perform TRX workouts thanks to these awesome multi-stations. For free weight movements, the gyms also come with in-built landmine attachments which will fit all Olympic bars. Here, you can perform exercises like T-bar rows, push presses, core rotations, single arm rows, and more. For chest and triceps development, there’s even a dipping station. If you want to know more about Multi-station information, please click on our Multi-station series for more information, thank you for reading.